When Sam Raimi and the executives at Sony/Columbia Pictures couldn't come to an agreement on all the details for Spider-Man 4 they (semi) amicably parted company. Raimi moved on to other projects, and Sony had to decide whether or not to continue with Spider-Man 4 without Raimi, or to start the franchise over from scratch. Ultimately, they chose to start the franchise over, with yet another, "Reboot," of an cinematic franchise. This was a somewhat risky move given the popularity of Raimi's Spider-Man movies. Taking the existing script that Raimi was going to work from (and alter) Sony gave the film to Marc Webb to direct. 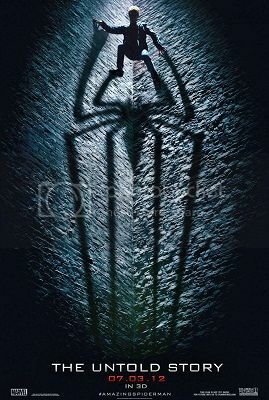 The script was heavily reworked to serve as yet another origin story for the wall crawler, and casting was underway. Ultimately, Webb and the films' producers chose Andrew Garfield, a British actor(!) to play nerdy Peter Parker (aka your friendly neighborhood Spider-Man). Emma Stone was chosen to play his love interest, Gwen Stacy. Well, they got half the casting right. Stone is very good as Gwen, but Garfield never really captures the spirit or nerdiness of Peter Parker. He comes across as more of a bratty whiner than a brilliant nerd. It doesn't help that the script never gets the Peter Parker aspect of the story right, either. I couldn't help but feel that I was watching some other teenage kid on screen, not the Peter Parker that we've known for decades from the comic books, cartoons, and the three previous Spider-Man movies. Peter Parker the skateboarding, hoodie wearing, bratty rebel without a clue? Really?? Peter's relationship to his Uncle Ben and Aunt May, who have raised him since he was a small child, is also presented as somewhat vague. Are they close? Does he like them? Are they the role models that made Peter Parker the young man who was compelled to become Spider-Man, crimefighter, rather than Spider-Man, the money making celebrity, or are they something else? Clearly, they're good people, but does Peter respect them? We never get a clear picture of that. Secondarily, Uncle Ben gives a half-assed version of the, "With great power comes great responsibility," speech. This isn't the fault of actor Martin Sheen, who does a fine job as Uncle Ben, but the fault of the screenwriters, who don't even use the famous quote! Instead, they hint at it in an argument that Ben and Peter have shortly before Ben is gunned down. And that's another thing - the whole death of Uncle Ben is handled extremely poorly, in an almost trivial manner. Yes, Peter goes out for revenge, but the whole quest to bring Uncle Ben's killer to justice is left unresolved. As for the villain of the story, Dr. Curt Connors was great conceptually, but in the story he's merely adequate. His motivation is left a little hazy. Is he really angry at his boss, or is he under the influence of the serum that instead of re-growing his missing arm turns him into The Lizard? Or is it a little of both? We never really get a good answer to that one. On the other hand, The Lizard makes for a great adversary for Spider-Man. He is a bigger, stronger opponent who is every bit as fast and as agile as the web slinger. And with most of Connors' intellect intact he's a match for Peter/Spider-Man in intelligence, too. The character of police Captain Stacy, Gwen's father, is handled fairly well, even if a departure from the original character in the comic book. Denis Leary plays him very convincingly, and this is one character in the movie whose arc feels organic. He has motivation. But another minor character has an arc like a roller coaster. Flash Thompson goes from bully to buddy in 6.5 seconds. OK, it just seems like that, but he goes from Peter's tormentor to his supportive friend in a very unrealistic manner. Had there been more time given to that relationship (it took years in the comics to develop that shift) it might have worked. But the way it was handled here? It's like something that an actual high school student might have written rather than a grown adult who is a professional screenwriter. Beyond all of that, there are too many details in The Amazing Spider-Man that are glossed over, too many things that are way too convenient for Peter, and too many things that defy logic. The script is a bit of a mess. Now I don't want to make it seem like this movie is awful and not worth watching, because it does have a lot going for it - especially visually. The action scenes are great, and the script captures the wisecracking nature of Spider-Man better than any of Rami's movies did. And the Lizard looks pretty good overall, even if his mouth isn't quite snout-like enough. The CGI Lizard is very convincing, and that lends to the excitement of the fight scenes with Spider-Man. Ultimately, the film gets just enough right to allow it to still be entertaining despite it's flaws. 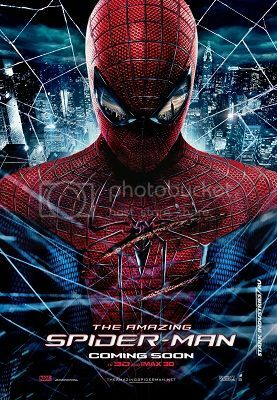 It's comparable to Spider-Man 3 quality wise, even if the tone is completely different, as are the movie's flaws. 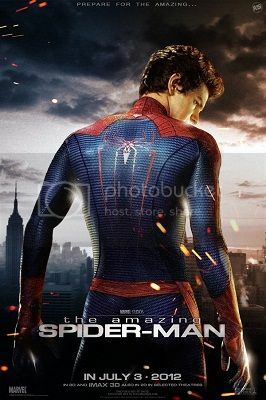 Marc Webb and company almost came up with a superhero classic with this one, but just fell short in too many areas to find this movie among the elite of the genre.